At Mint Windows we are here to make the process from ordering the windows right through the completion of installation as easy and stress free as possible! We are fully qualified tradesman and every thing is completed by Mint windows and doors so we can keep quality control to the highest of standards. Book in an initial site meeting where I will personally come out and we will go through what you want and if we can achieve it. Usually clients like to come to our showroom to have a look at the products and options. We also custom manufacture all the windows and door here as well. A contract will be sent over and signed then we will order materials and manufacture windows and doors in our factory. 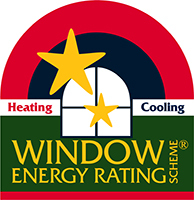 The windows will be delivered and the installation will commence with average installation lasting the windows will be delivered and the installation will commence. We take 1-2 windows out at a time and then install the new windows and then glaze them. We will not leave you with a hole in the wall over night. Depending on the job we are happy replace the existing timber work with new reveals and architraves of your choice or if you want to leave the timber work in to reduce cost we are happy for that option as well. When supplying windows and doors to a new build or renovation the process is slightly different. The sizes will be confirmed by the builder/architect through a window schedule or we will come and check measure if that what is requested. For new build we usually supply the who job unglazed with timber reveals attached and the builder will then install the units. Once installed we will get the glass delivered to site when requested by the builder and glaze the job and adjust anything that needs adjusting.